Stupid of me, I know, but I was surprised to turn up at the Open Eye Gallery a couple of hours before Colin Wilkinson’s talk on Bert Hardy was due to start, only to find it completely sold out and with a large waiting list. Still, taking philosophical view, it must say something about the strength of interest in local history and culture here on Merseyside. Because Colin’s subject was to be Bert Hardy, the Picture Post photo-journalist who completed several assignments in Liverpool in the late 1940s and 50s – one of which went unpublished in the magazine, though images from that assignment feature prominently in Open Eye’s current exhibition, Ebb and Flow: A Visual Chronicle of the Changes Within Liverpool’s Chinatown. 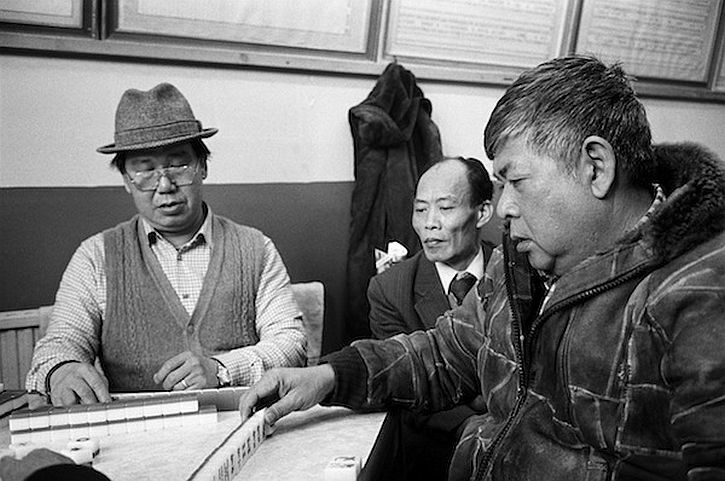 The exhibition presents photographic snapshots of Liverpool’s Chinese community, drawing upon photographic prints from the Open Eye Gallery archive – including selections from three Open Eye commissions concerned to document aspects of the changing fortunes of the oldest Chinese community in Europe . 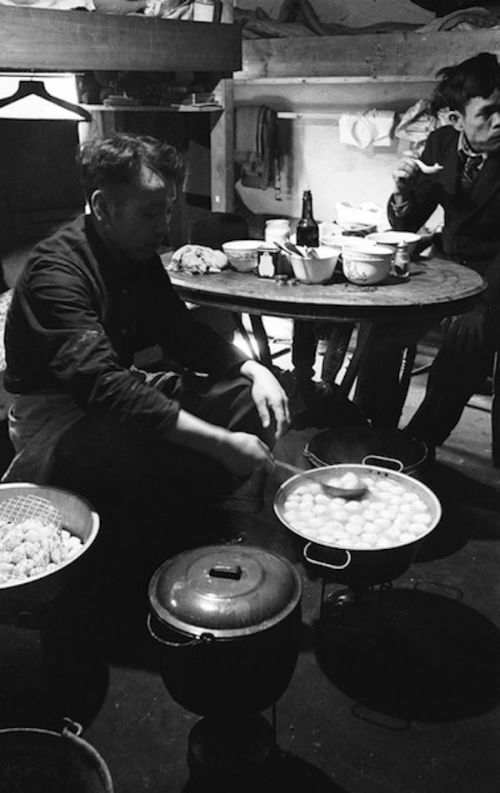 The oldest of the photographs on display are images from Bert Hardy’s unpublished 1942 commission for Picture Post in which the photographer focussed on the living conditions experienced by by Chinese seamen based in Liverpool during the Second World War. 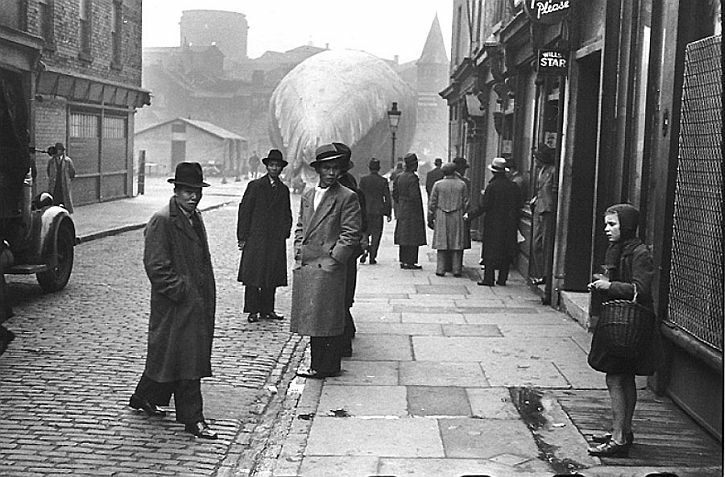 None of these images were published due to their critical nature, and the delicacy of the situation in Liverpool at the time. 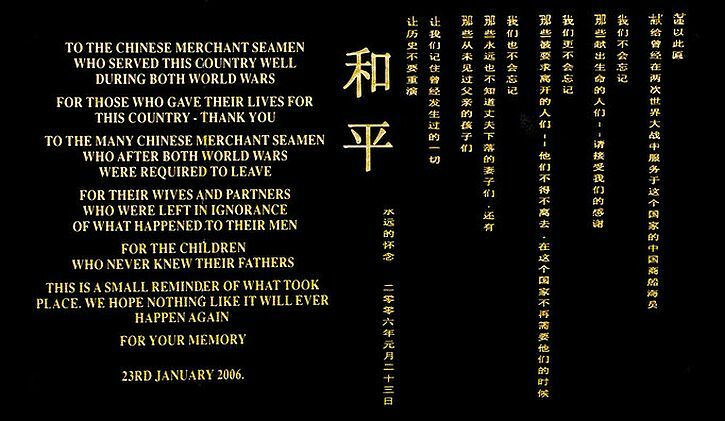 In the early 1940s, around 20,000 Chinese seamen were recruited into the British Merchant Navy, almost all of them based in Liverpool. 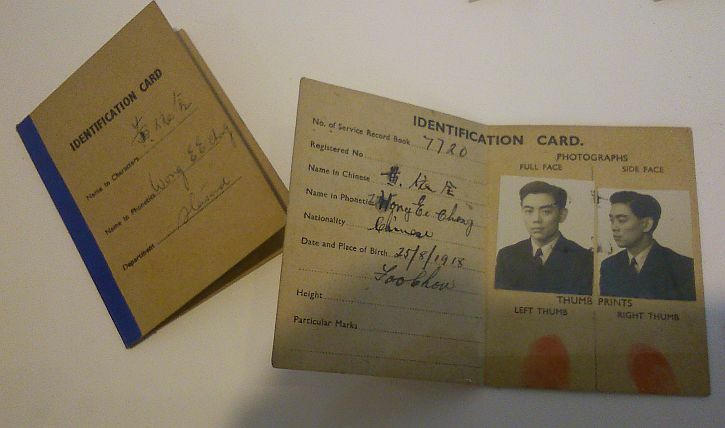 Although the Chinese sailors played a vital role in Britain’s warfare, their demands for the same pay and equal treatment as local sailors in 1942, which led to strike action from February to May 1942, led to their being labelled as troublemakers. Bert Hardy’s images documented the daily lives of men, paid less than half the British seamen, working in worse conditions, and often living in squalid conditions. 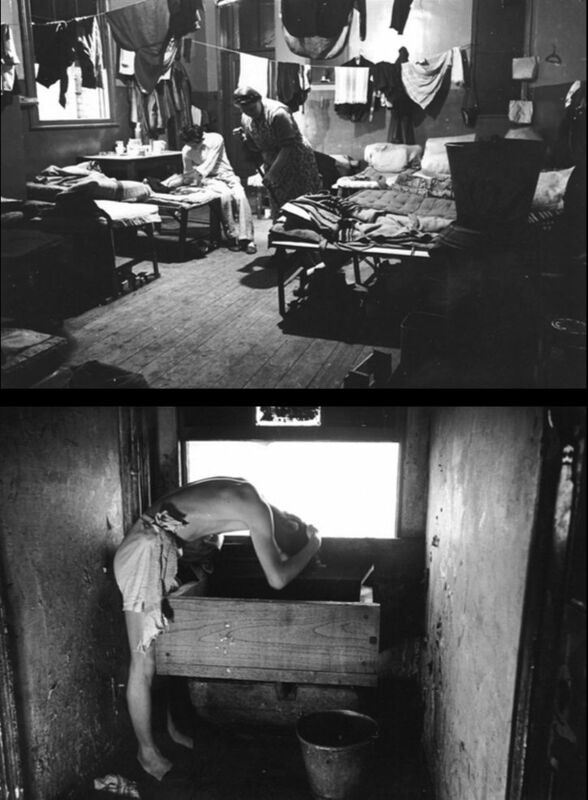 Hardy captured the initial transiency of their presence on shore leave in Liverpool as they set up temporary lives – eating, smoking, washing and cooking in lodging houses and makeshift clubs, waiting for their next ship to arrive. The first Chinese merchant sailors had appeared in Liverpool in 1850s, when Alfred Holt & Company established its shipping line from Shanghai to Liverpool and recruited Chinese sailors, making the Chinatown in Liverpool Europe’s oldest. During the Second World War Liverpool became the headquarters of the Western Approaches that monitored the Atlantic, and the British merchant navy started recruiting sailors from its allies across the world. This was when up to 20,000 registered sailors, mainly from Shanghai, Ningbo, Shandong and Hong Kong, came to Liverpool. Thousands of the Chinese sailors lost their lives in the Atlantic during attacks from German submarines; as a crucial element of the British fleet, Chinese sailors played an important role in Britain’s victory in the war. Many chose to settle down with local, working-class girls and started families, attempting to establish a more permanent presence within the city despite their alien status. 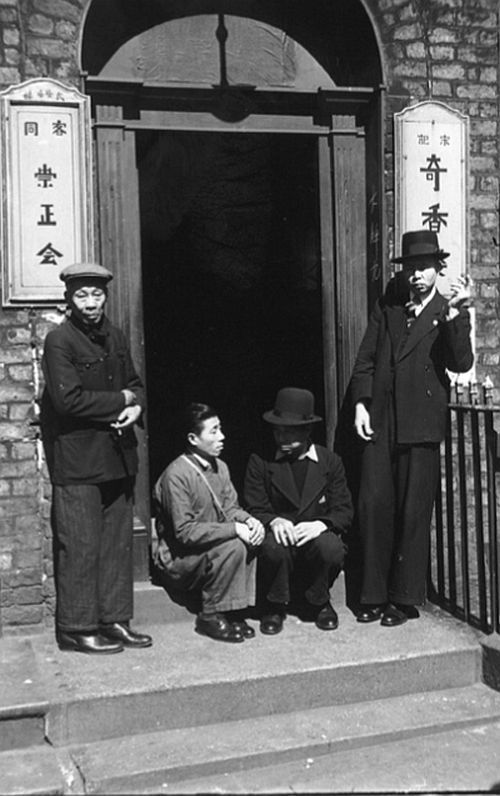 Hardy’s photos form a vital historical record of a formative moment in the history of the Chinese community in Liverpool. 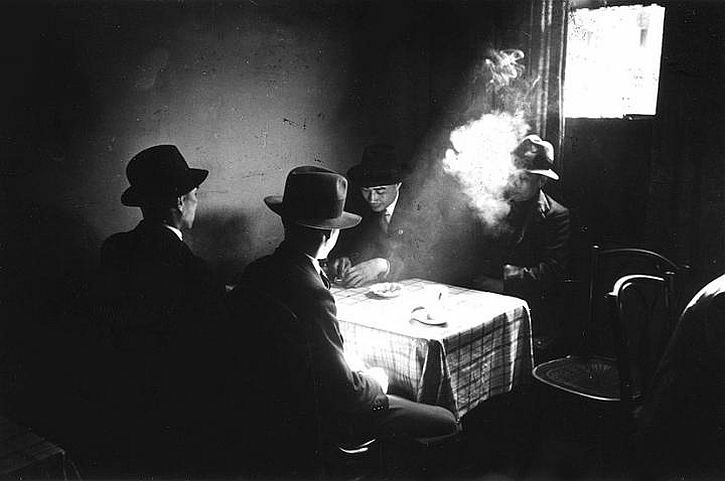 His image of Chinese seamen smoking around a table in a hostel (top) is also a work of great aesthetic merit. The British authorities and the Blue Funnel shipping company did not forget the Chinese seamen’s act of defiance when the war ended: in 1945, hundreds of Chinese men who had settled in Liverpool legally – many married to Liverpool girls and with children – were deported, rounded up at night, and put into cargo ships roughly converted with bunk beds and sent back to a China to an uncertain fate. Their Liverpool properties were appropriated by the council, and their families remained silent for over half a century through fear of reprisals. Now, due to the efforts of Yvonne Foley,­ the daughter of one of these seamen, there is a now a monument at Liverpool’s Pierhead acknowledging the contribution that was made by the men and the wrong that was done to them. 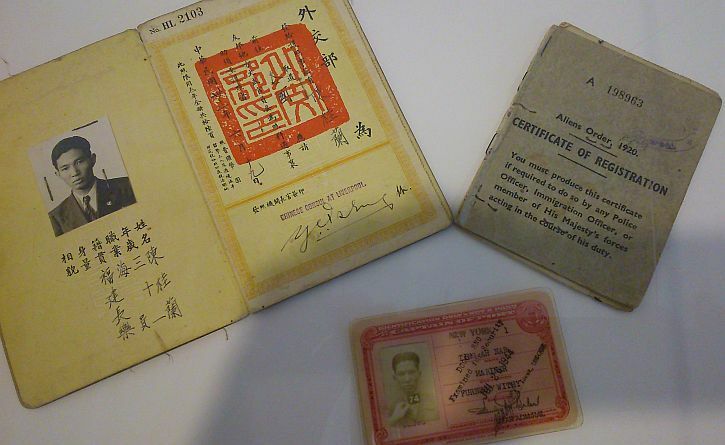 Alongside the photos in this exhibition are showcases which display personal documents belonging to the children of Chinese seamen – the seaman’s Chinese passport, his Alien stamp book, ID Card and Blue Funnel line record of service book. From the late 1950s, men from the rural villages of Hong Kong’s New Territories arrived in Liverpool, bringing with them their wives and children. The previously waning Chinatown of a bi-cultural, mixed marriage community gave way to a new population of Chinese families. In 1985, Open Eye commissioned Martin Parr to document connections between Liverpool and Manchester. Parr chose to explore the Chinese community in each city, and in Liverpool many of the people he photographed were the children of Chinese sailors who managed to stay on in Liverpool after the war. 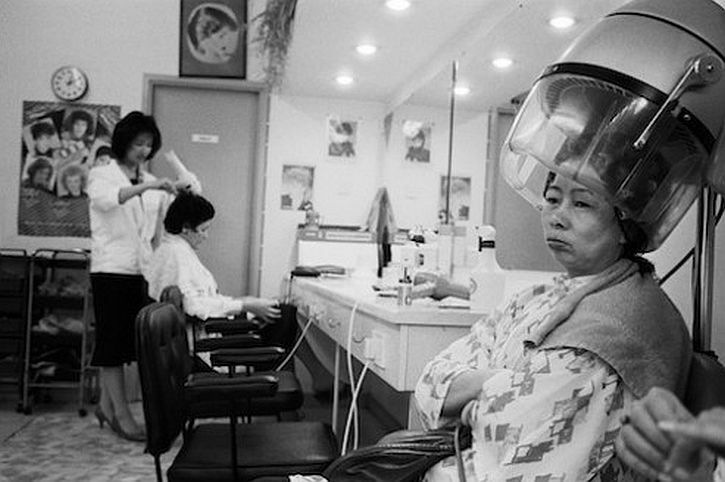 Martin Parr’s work captured the next generation of the Liverpool Chinese community, depicting moments from their everyday lives, and revealing ‘a negotiation of cultures taking place throughout the community as they sought to make the city around them their permanent home’ (Open Eye). A display of work by The Sound Agents – the Liverpool-based duo of John Campbell and Moira Kenny – brings the story up to the present day. 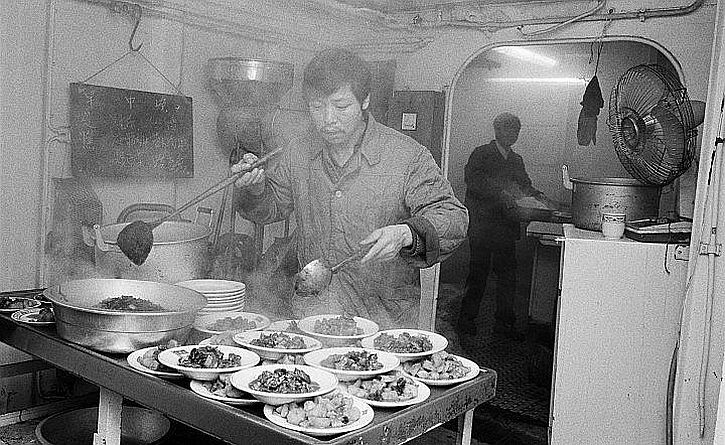 The Sound Agents obtained funding from the Heritage Lottery Fund to record the oral history of Liverpool’s Chinatown. In recent years they have brought together a deeply intimate archive of the community’s memories – interviews, personal documents and photographs that recount experiences within the city, from the early ship workers to their grown-up children. 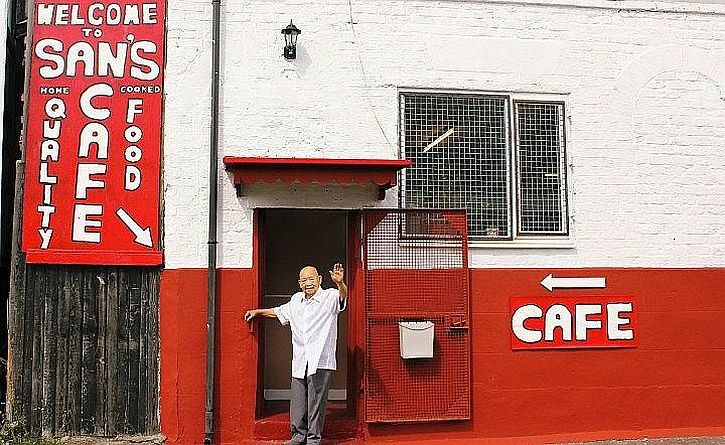 Their Chinatown Oral History Project aims not only to assimilate these memories into the city’s history, but to encourage the regeneration of the area, as seen in their recent bid to turn Britain’s only Chinese pub, The Nook, into the Contemporary Chinatown Museum. On show, supplementing audio recordings and the display of family memorabilia, is a selection of photos taken during the project. 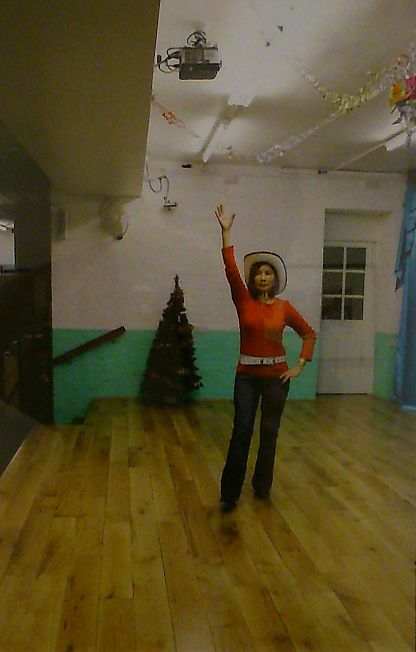 Perhaps the most unexpected image is of a slim women dressed in a bright red top and jeans and wearing a cowboy hat and belt, dancing alone, caught in mid-stride. The most recent images in this excellent exhibition are the result of yet another Open Eye commission. 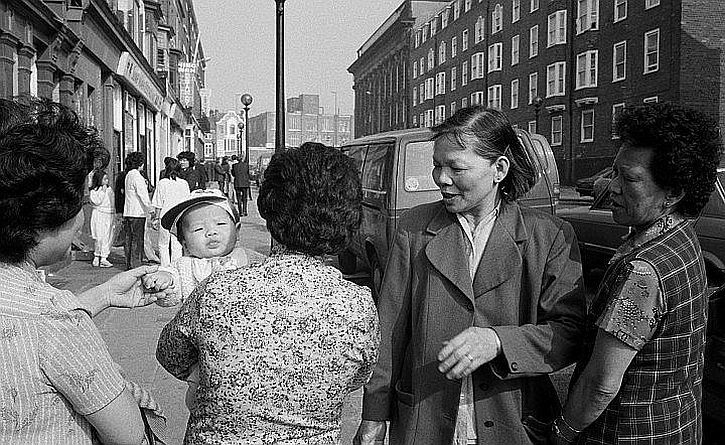 Jamie Lau, a London-based photographer and an outsider with no prior knowledge of the area, was commissioned to document the Chinese community as it is today, seven decades after Bert Hardy’s seamen portfolio. Lau became intrigued by the architecture around Chinatown – the Chinese Arch, decorated lamp posts and red and green colours present throughout Nelson Street. One of the best shots is of a mean walking along Nelson Street, in front of shutters painted green and edged in red, reading a newspaper. The colours are saturated in bright sunlight and his shadow and that of a nearby lamp post fall sharply on the pavement. 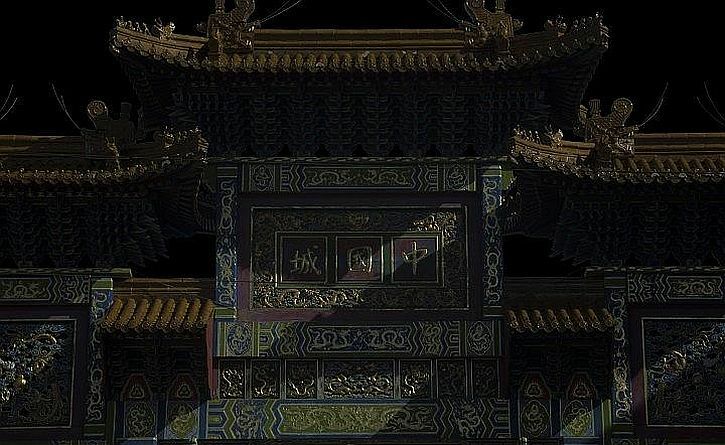 Many of Lau’s images are shot in darkness, illuminated only by the light from the window of a Chinese restaurant. The result is a deep sense of solitariness, which, in the best of the images – had the feeling of one of those night scenes by Edward Hopper. 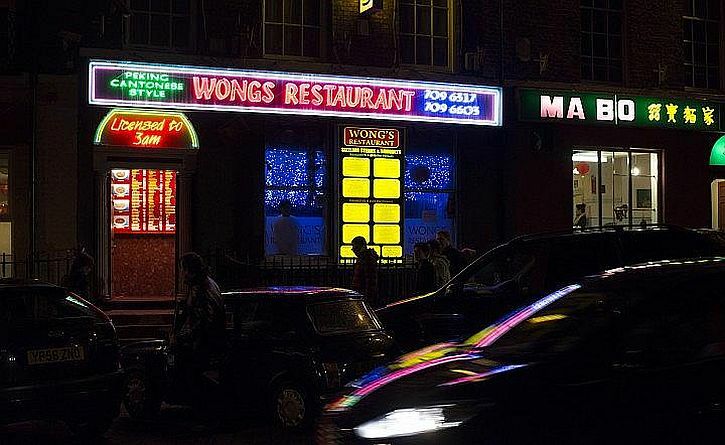 It is of the the brightly-illuminated sign and window of the Ma Bo; in the brightly-lit interior you can see Chinese lanterns, a waiter and two customers eating. After I had seen everything in the exhibition I sat in the ground floor gallery browsing through Colin Wilkinson’s latest book, Bert Hardy’s Britain (which follows the many books on Liverpool photography he has published via his Bluecoat Press). On his highly-recommended blog, Streets of Liverpool, Colin writes that it is, ‘if I may be so bold, the best book I have ever done’. It certainly is: a handsome and beautifully produced book, with over 200 of Hardy’s photographs taken between 1940 and 1956, many of them reproduced across two-page spreads. Failing to get a ticket for his talk, I must obtain his book. A fantastic post, on a fascinating subject. I look forward to the next one!